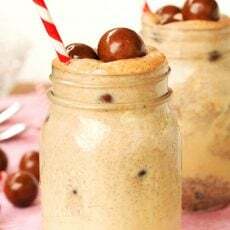 This incredibly delicious milkshake float comes packed with double the ice cream and malted milk ball candies all over the place! 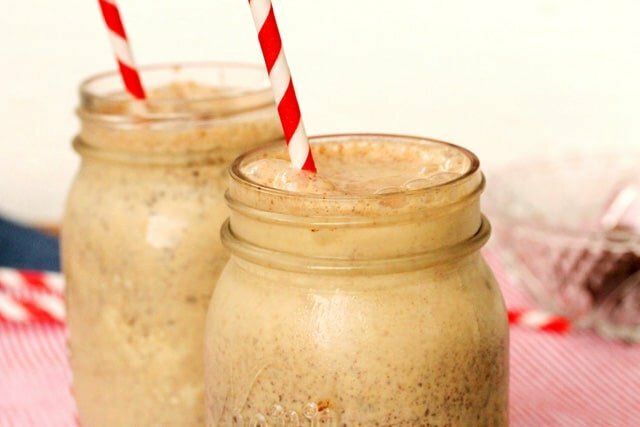 What on earth is a Shake Float? 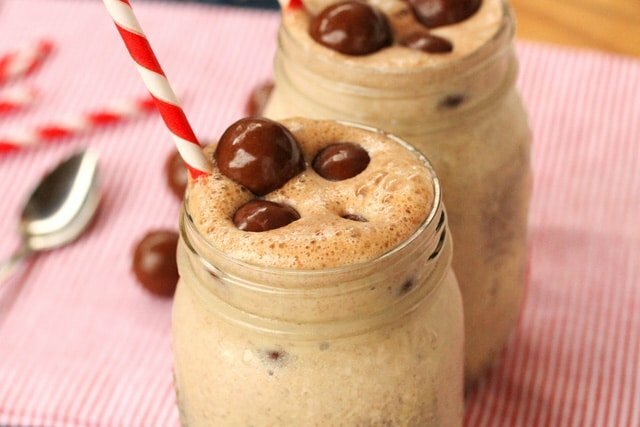 Well, you’ve heard of a root beer float right…..where you add ice cream to a glass and pour root beer over it. 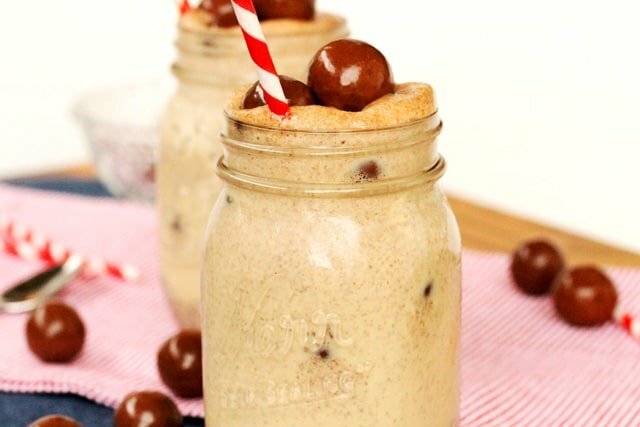 A shake float is the same only you pour a shake over the ice cream that’s in the glass. And the ice cream in the glass is a different flavor than the ice cream that the shake is made out of. 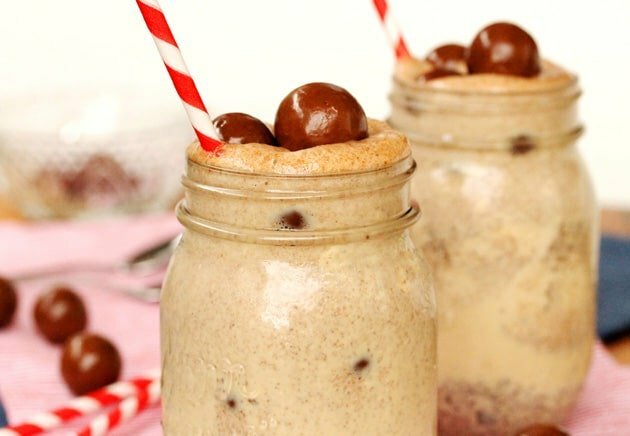 This shake is made with vanilla ice cream, malted milk balls, and malted milk. 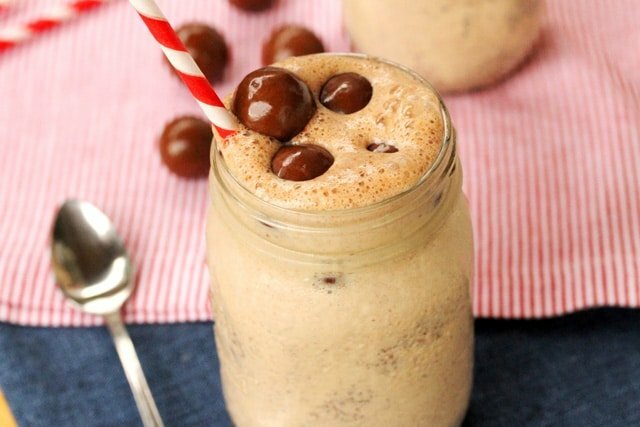 Then, the shake is poured over Expresso Chocolate Chip ice cream. But you can use any combination of flavors that you like. Just think of the possibilities! 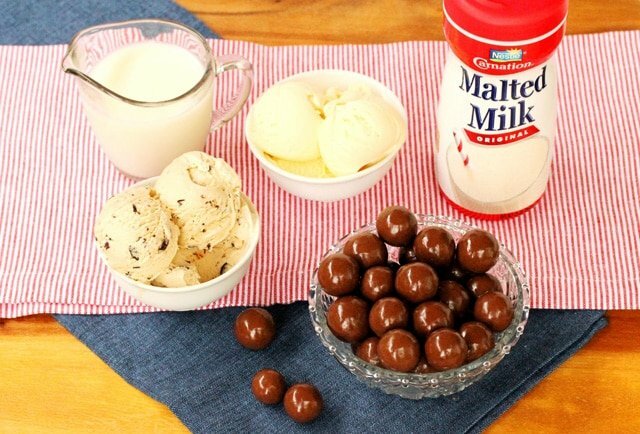 What a fun and over the top amazingly delicious treat. 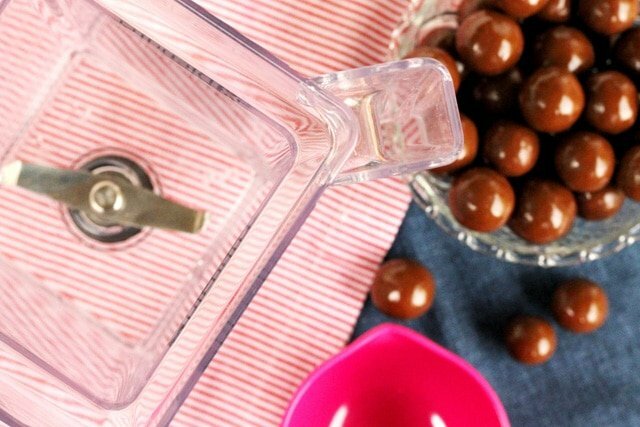 The biggest decision you’ll need to make is if you should use a straw or a spoon. I used both…maybe at the same time. I don’t remember because it was so good that it was all gone before I knew it. 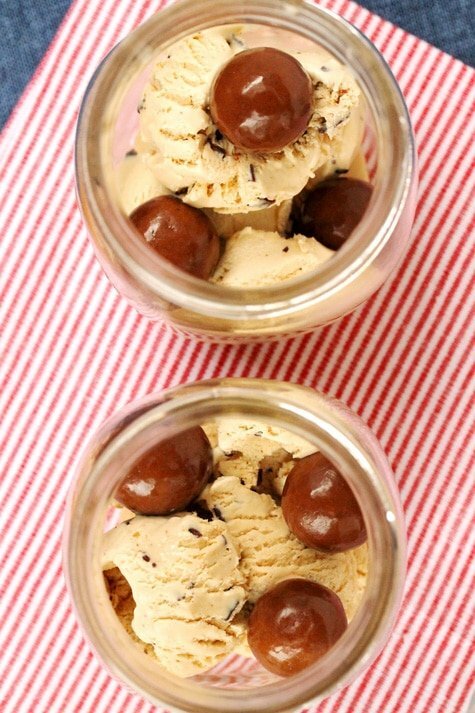 For the Serving Glasses (the “Float”) – Expresso chocolate chip ice cream (or flavor of your choice). 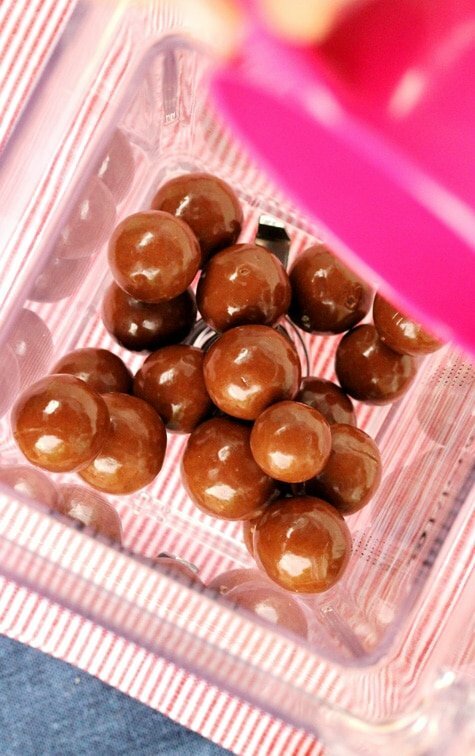 You may need extra for taste testing. 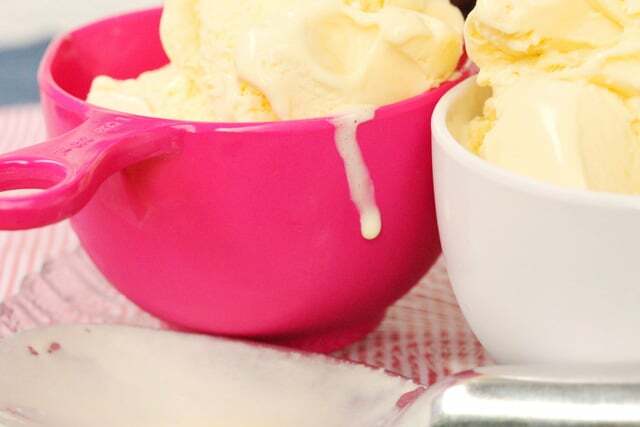 …add the vanilla ice cream. 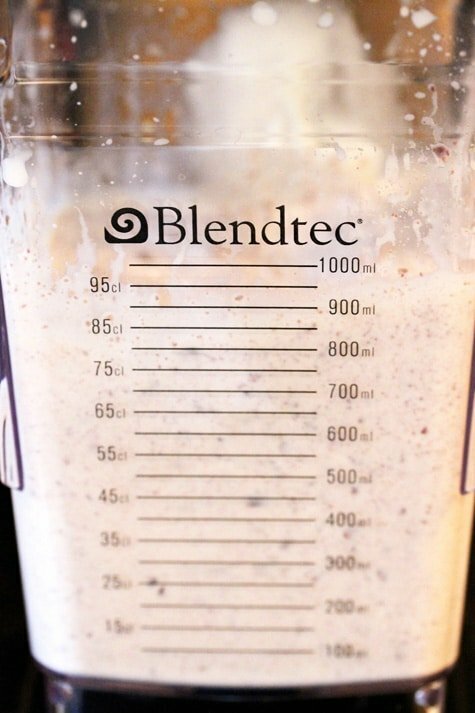 Blend on the shake setting or medium speed for about a minute, or until all ingredients are combined. Set aside for just a moment. 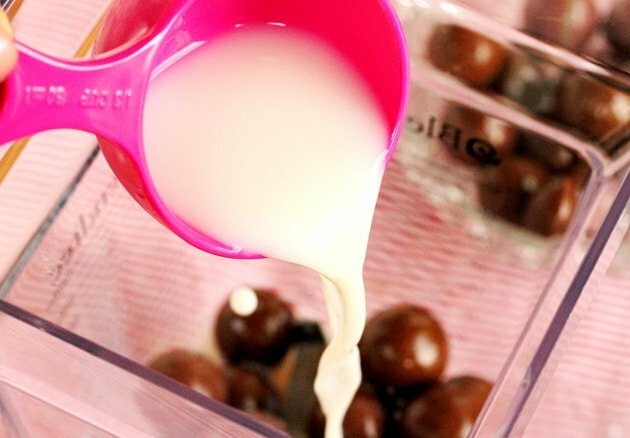 …add a few malted milk balls. 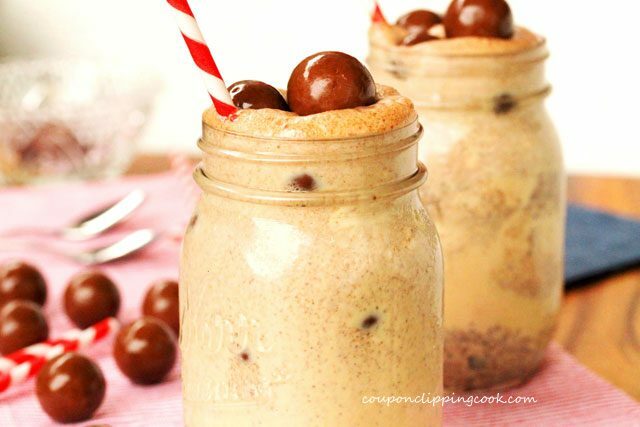 Then pour the shake over the ice cream that’s in the glass. 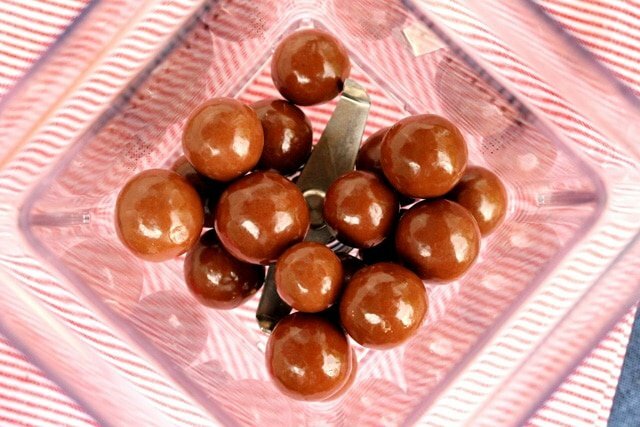 Top with the remaining malted milk balls. 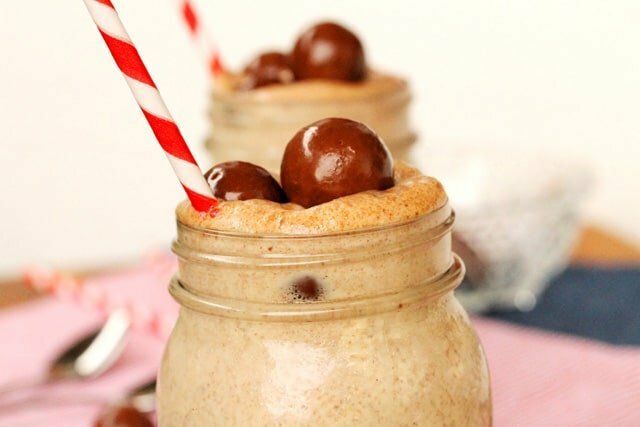 To a blender add malted milk balls (1 cup), milk, malted milk powder and vanilla (2 cups) ice cream to a blender. 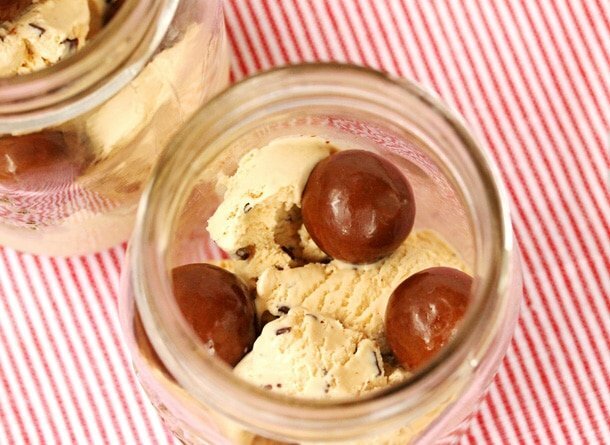 To serving glasses or pint-size mason jars, add the ice cream flavor of your choice, and a few malted milk balls. 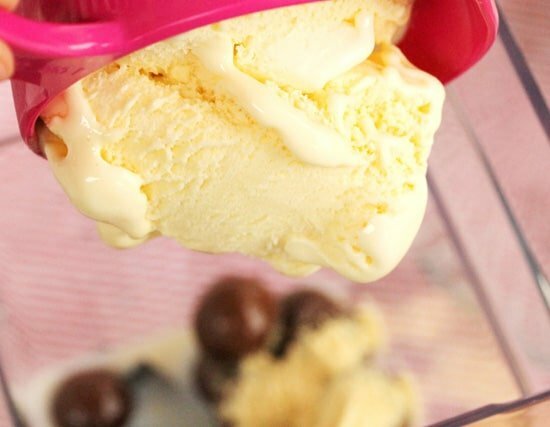 Pour the shake over the ice cream that’s in the glass. 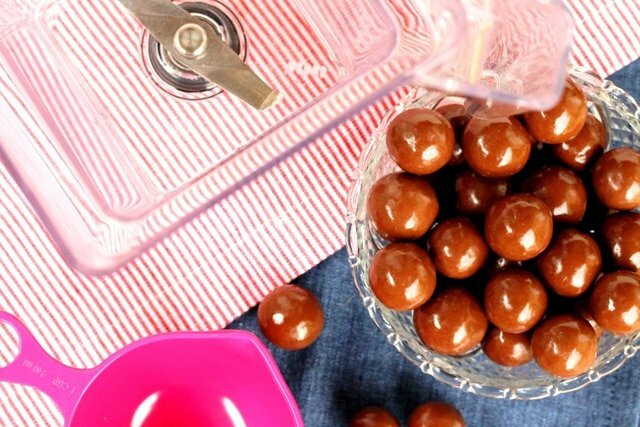 Top with the remaining malted milk balls. 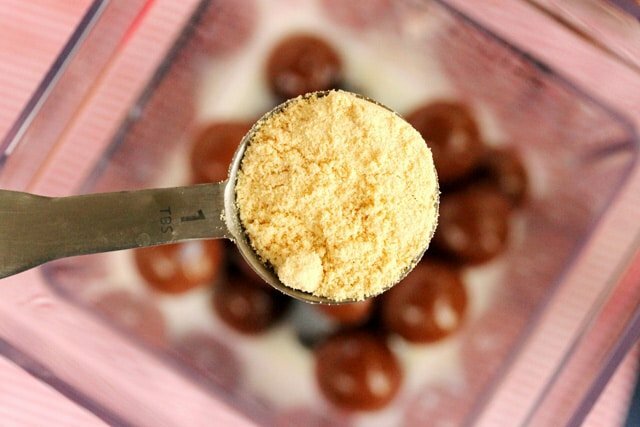 And serve right away along with a straw and a spoon for each serving. 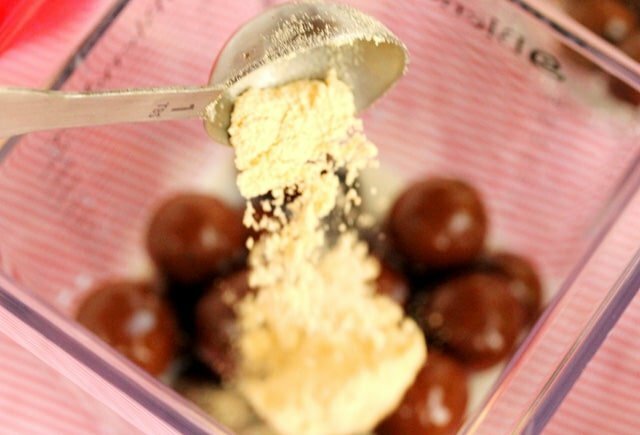 This recipe was originally posted on August 16, 2012. 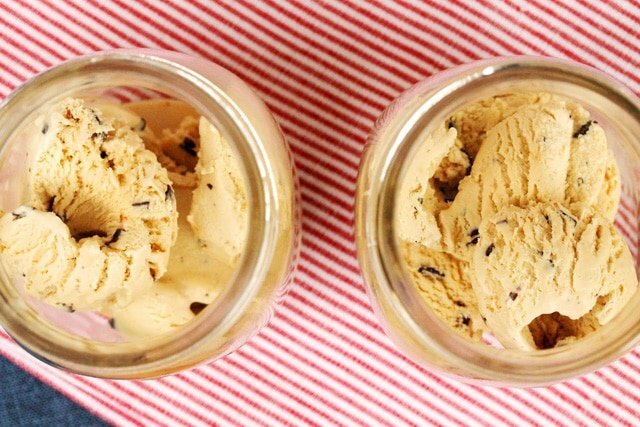 Is that cookies n cream ice cream that you poured it over? 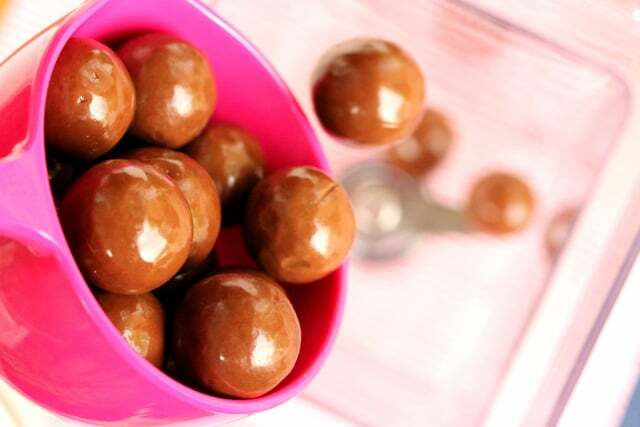 Looks soooo yummy. 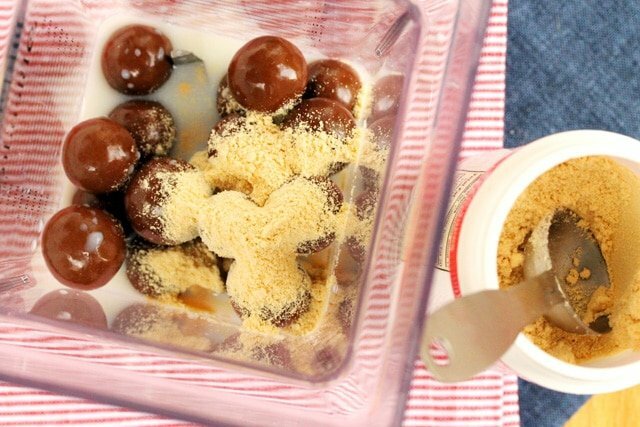 I have so gotta try this. 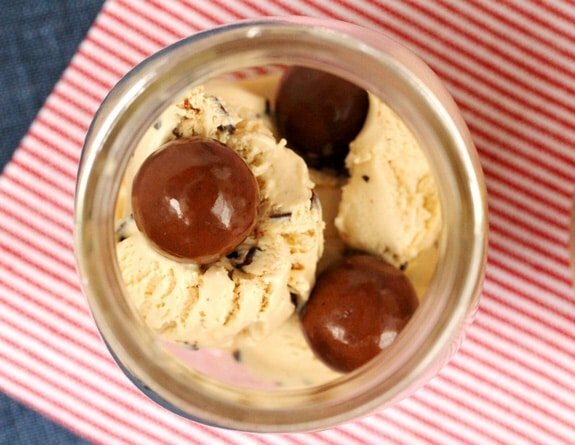 I think chocolate ice cream would be good or cookies n cream…heck pretty much any ice cream lol. Hi Kellie, I think that I used chocolate chip. 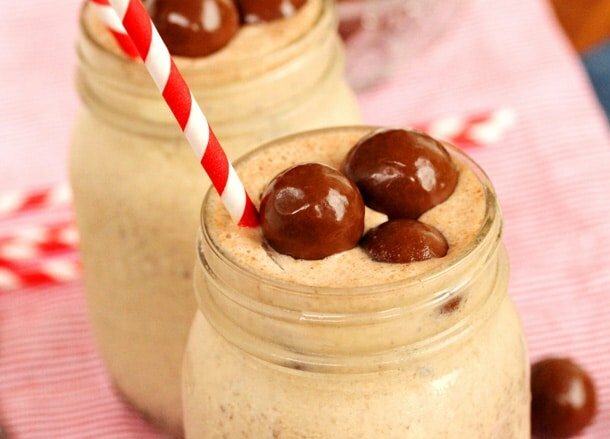 But you’re right, cookies n cream or chocolate would be really good with this shake. And I have to agree that any ice cream would work! Have a great week! This is fabulous. My hubs loves anything malt. Gotta try this for him. Hi Kim, thank you and have a great weekend. 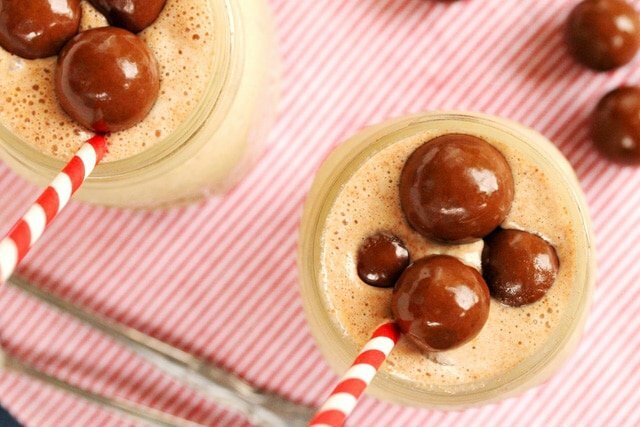 You had me at malt and shake float. 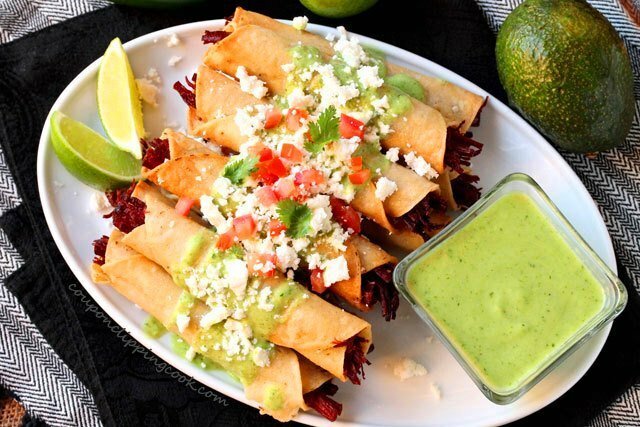 These look almost sinful! I’m definitely making some a.s.a.p! Hi Kim, sounds like you like malted milk too. I just love it. Course I love anything with ice cream! Have a nice weekend!